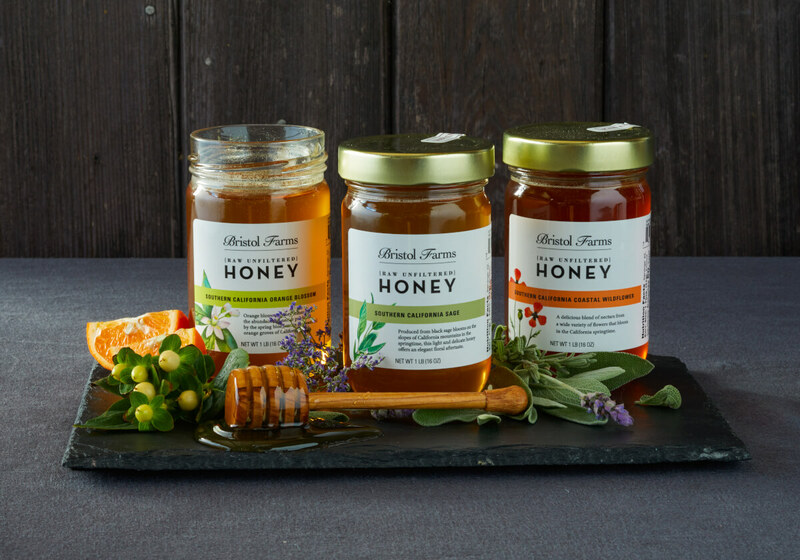 We are pleased to introduce our line of local, raw, unfiltered, and unprocessed cold-packed raw honey, drawn from the abundant flora of Southern California. Cold packed by hand, our raw honey has a creamy texture that will not only entertain your taste buds but inspire you to include it in recipes as a handy, all-natural source of sweetness. Once our Orange Blossom honey finds its way into your cupboard, you’re not going to want to let it go. It’s distinctive yet versatile, with a citrus-accented flavor and a fresh floral aroma that will grab your attention. Its fruity sweetness is mild enough to make the perfect alternative to your standard table honey. Orange Blossom honey will enhance the flavors of everything it touches. Stir it into Black teas such as Earl Grey, Ceylon or Congou, or drizzle it over ice cream. Whip a spoonful into a bit of soft butter before spreading it on toast or a warm croissant. You’re welcome. If our Southern California Sage Honey could dance, it would do a classy nightclub two-step. Raw sage honey is heavy-bodied and crystallizes very slowly. Its delicate flavor and floral aftertaste are subtle and perfect for cooking, gently adding sweetness without overpowering other elements with the flavor of honey. Sage honey also retains the medicinal qualities of the sage plant, which is good news for your immune system. Serve our Southern California Sage Honey as part of a cheese plate, bake it into cookies as a sugar substitute or stir it into green tea to add some low-key sweetness. Our Southern California Coastal Wildflower honey behaves like a rock star: it demands your attention and earns its applause. It has a rich, fruity flavor that will punch up sauces, glazes, marinades or cocktails. Brush it on ribs after grilling them, or use it as a dipping sauce for shrimp or fried chicken. Wildflower honey also contains trace amounts of pollen from a wide variety of Southern California flowers and can help those that suffer from allergy symptoms. Drizzle some on your favorite artisan crusty bread, or eat it right off the spoon. We won’t tell.